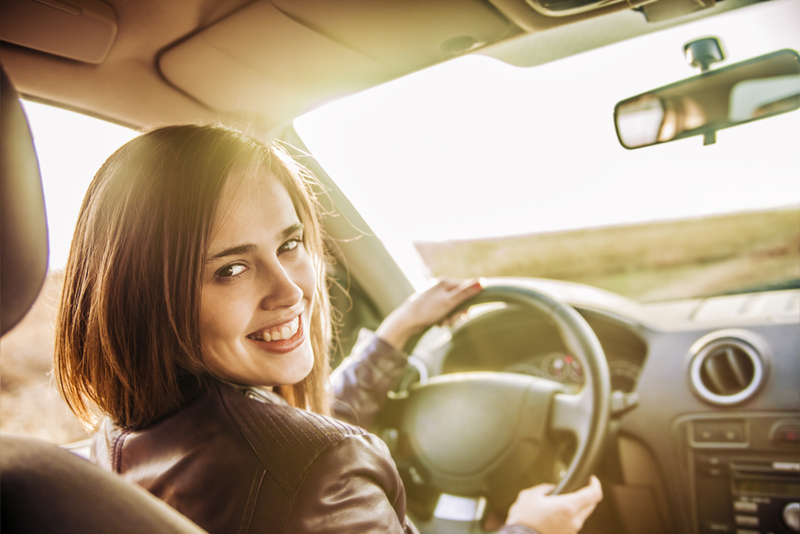 When you get your learner’s permit and study to take your driving test, there are lot of road rules you have to learn to get a license. You know all the laws and regulations and illegal moves that’ll get you a ticket, but what about basic driving etiquette? What are the unwritten rules of the road that will help you stay safe, avoid an accident and get along with other drivers on the road? In heavy rain or other inclement weather, lots of people have a tendency to turn their hazard lights on so other people can see them on the road. This is confusing for other drivers and even downright dangerous. Hazards should only be used when the vehicle is stopped. When it’s raining, turn on your headlights. Other cars should be able to see them just fine. When driving on the highway, slower traffic should keep to the right side of the road to allow faster drivers to keep moving. If you’re in the left lane and someone comes up quickly behind you, move over to let them go. If you’re passing a slower driver, pass on the left to avoid confusion with other cars. Sometimes, you want to drive faster than the car in front of you, but the driver will not budge. It’s tempting to drive closely to their rear bumper to get them to move. This is annoying and dangerous. If they have to slam on their brakes for any reason, you could rear end them and cause an accident. In slow-moving city traffic, it’s annoying to have to wait behind lines of cars at green lights. You might want to get into the intersection so you can get through the light when the traffic moves. But if the light changes and you’re in the intersection, cars coming the opposite direction can’t get through their light. Plus, a police car or ambulance might be unable to get through in an emergency. Turn signal use is actually required by law, but people don’t often get pulled over for it. Turn signals let other drivers know what you’re doing on the road so they can adjust accordingly. It’s safer and polite. This entry was posted in Top Driver Blog and tagged adult driver's ed, Bad Driving Habits, Car Safety, Cars, Driver Education, Driving, Driving Practice, How to Drive a Car, New Driver, Road - Side Emergency Kit, Road Safety, safe driving, Safety Tips, School Busses, Teens To Drive.